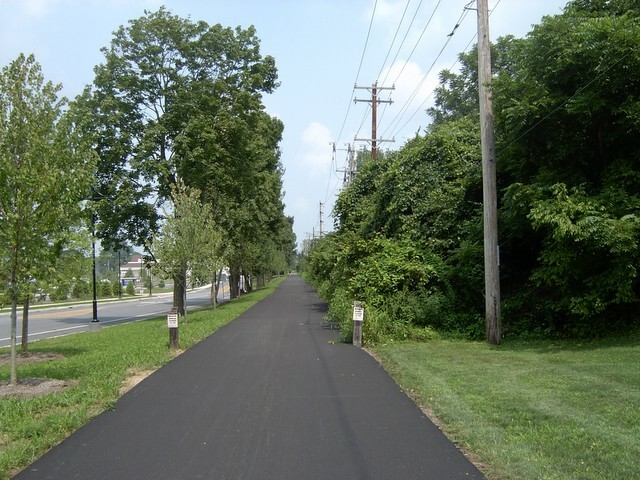 Greater Philadelphia Bicycle News: Chester Valley Trail To Be Built in 2009? Chester Valley Trail To Be Built in 2009? We've heard this before, but according to the Inquirer Chester County officials insist that the Chester Valley Trail trail construction will commence in 2009 18 years after it was first proposed. I'll remain skeptical until the construction contract is put out to bid, completion of the final design is still a year away and only Montgomery County has consistently shown that they can adhere to aggressive timetables. For example in Mercer County NJ we are still waiting for construction of the D&R Canal extension from Trenton to Bordentown 5 years after the construction plans were complete. Even the previously posted Westbank Greenway was construction ready 3 years ago. Skyrocketing construction costs, local trail opposition, failed bids and tight budgets often hold up construction. By the way the most absurd trail design setback was Vanguard forbidding the trail access after 9/11, apparently terrorist organizations are targeting investment firms on rollerblades and bicycles. I live in Paoli, Pa. If anyone can tell me the closest place to get on the trail from here it would be appreciated.